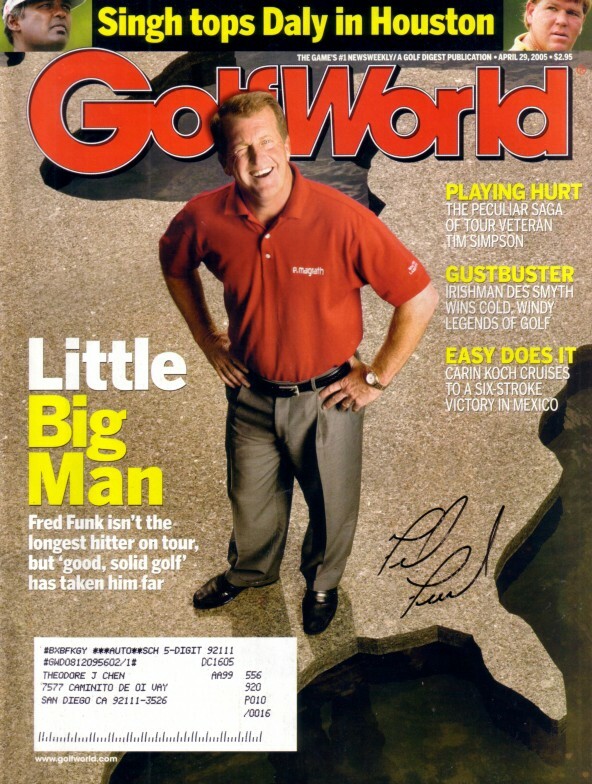 Complete 2005 Golf World magazine autographed on the cover by PGA and Champions Tour veteran Fred Funk. Has subscription label, otherwise nearly flawless. ONLY ONE AVAILABLE FOR SALE. With certificate of authenticity from AutographsForSale.com.